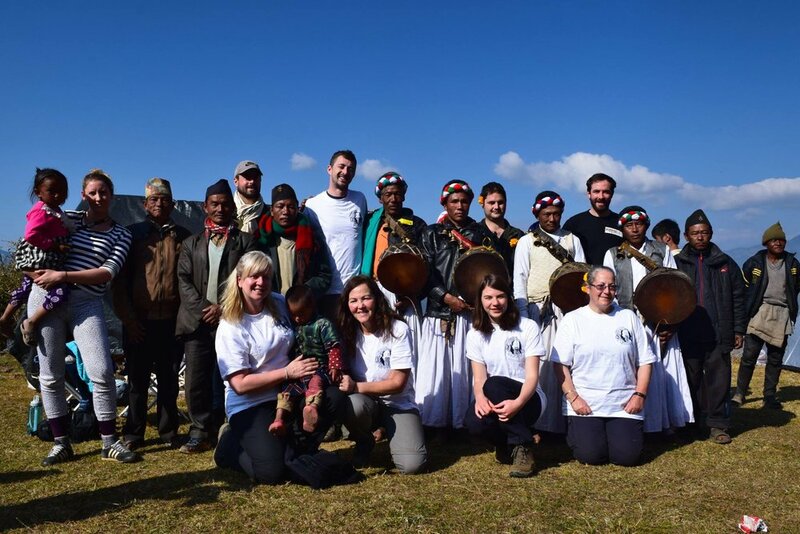 “The most exciting, inspiring and humbling adventure I have been on"
"This trip has gone straight to the top of my best travelling experiences"
"An incredible experience - it was my first time on a trekking trip and I loved every minute of it! Amazing people, beautiful places and great views. Highly recommended!" 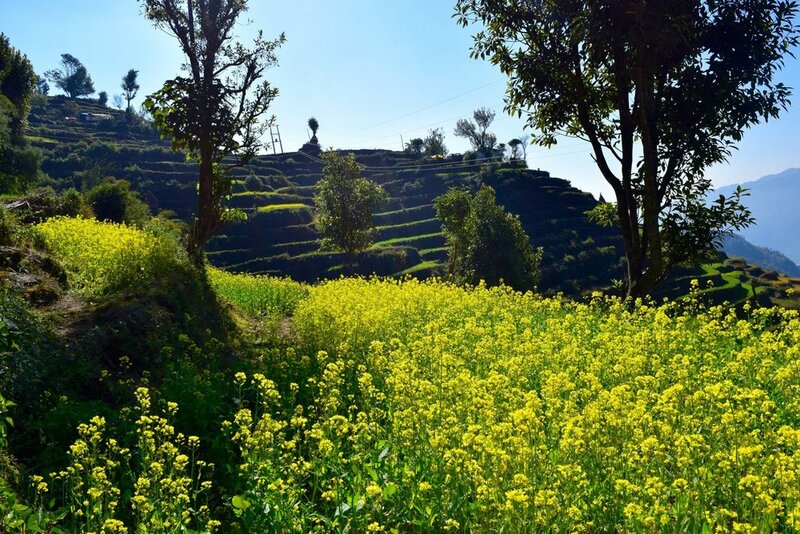 "This trip is like no other: The opportunity to see the most glorious scenery in Nepal, guided by knowledgeable local people, and to give something back by way of project work with the local community"
Feedback from individuals on previous trips. The 7.8 earthquake that struck Nepal on 25 April 2015 killed over 8800, injured more than 21,000, and destroyed the homes of 3.5 million people. Despite three years having passed since this disaster, rebuilding and recovery has been painfully slow and severe humanitarian crises continue to grip the country. This was the motivation for us to launch NERF as a charity in 2015 and the reason we continue to lead teams on sponsored treks through some of the regions worst hit by the earthquake. All the funds raised here will be used to help rebuild the villages and livelihoods of families in Nepal. We will be delivering reconstruction materials and other much-needed aid, as well as providing hands-on assistance in the rebuilding process. 100% of the funds raised through sponsorship will go directly to those in need in the villages surrounding the location of the trek*. Our dear friend, advisor and tour ­guide extraordinaire, Beebal Singh Limbu, is the architect of these fantastic opportunities to not only trek through some of Nepal's most awe­ inspiring scenery but to also play a very active and direct part in helping with the post­ earthquake rebuilding process. Please see further below for summaries of each trek and links to download the full trip itineraries. All the intrepid individuals on this memorable journey will be asked to raise £750 of sponsorship money before their trek begins. We have made this as easy as possible by enabling Facebook Fundraiser tools which means that trekkers can do their fundraising directly through Facebook. There are other options for fundraising (e.g. GoFundMe) but our personal preference is Facebook because we receive the funds directly and very transparently and quickly. Just ask james@nerfinternational.org for further instructions when you are ready to set up your fundraising page. Compared to our trek in the Gati area, this expedition will be in a more touristic area of Nepal. 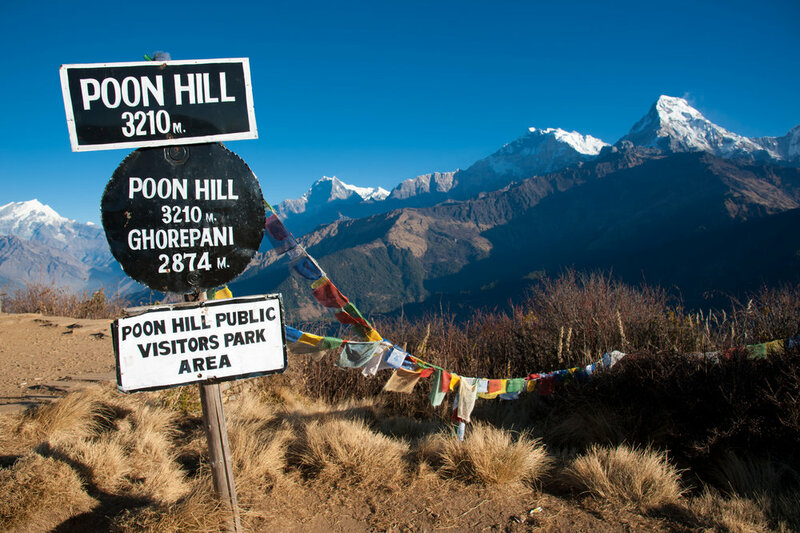 This means we will be sharing the trails with more people, but there's a good reason: We'll be seeing some of Nepal's most famous and jaw-dropping sights along Annapurna's stunning mountain range! The trip will start and finish in Kathmandu, from where we'll take a short flight to Pokhara, Nepal's second biggest city, and then drive towards Baglung. This is where we will provide hands-on reconstruction help to the local villagers. We head back towards the Annapurna region to begin our five day trek. 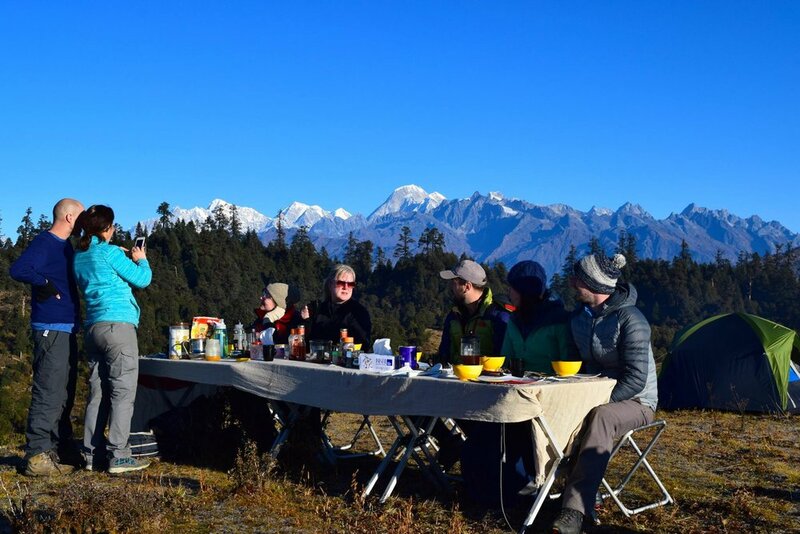 We will be treated to some of the most awe-inspiring scenery in Nepal, with epic towering snowy peaks and famous mountain ridges surrounding us from start to finish. The adventure will end with a final overland journey back to Kathmandu via Pokhara. Trek difficulty: Moderate. Maximum 5 hours per day. Kathmandu sightseeing tour & entrance fees. Please note: This is just a suggested payment plan. You can pay the entire fee as a one-off, pay in two half instalments etc. As long as the full amount is cleared by end of September 2019. You can download a detailed itinerary of the entire trip in PDF format by clicking here. 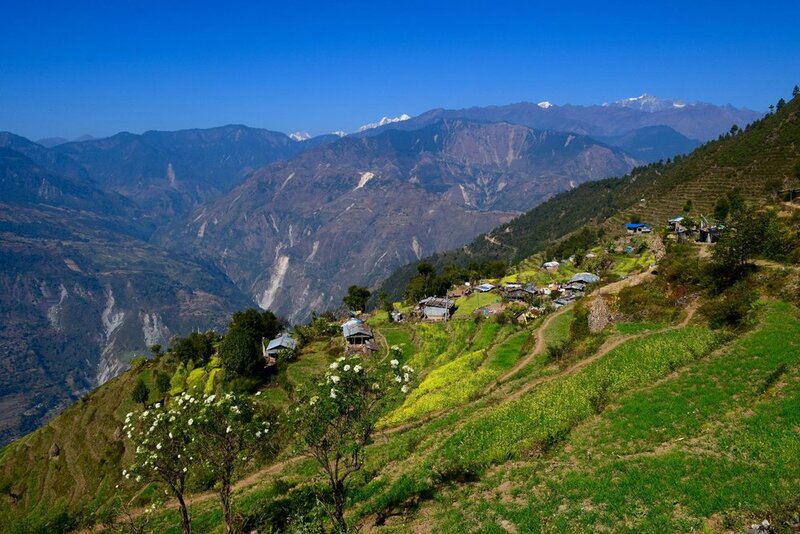 When compared to the Annapurna trip, this trek is in a quieter, more off-the-beaten track area of Nepal. There will be fewer tourists and more opportunities to interact with the local people. We will start and finish the adventure in Kathmandu, Nepal's lively and colourful capital city. From here, we'll head out to remote Bugam Village in the Sindhupalchowk district. The first couple of days in the village will be spent giving hands­ on reconstruction help to the villagers, before we embark on a four day trek through the astonishingly­ beautiful surrounding mountainsides, culminating in a breathtaking overnight stop at 3800m with spectacular views of the surrounding Himalayan snowcapped mountaintops and the chance to spot the peak of Everest in the distance if we are lucky! The journey will end with an overnight stay at a relaxing riverside resort, before we return for a final night in Kathmandu and then head home! Please note: This is just a suggested payment plan. You can pay the entire fee as a one-off, pay in two half instalments etc. As long as the full amount is cleared by end of March 2020. If you have any questions at all about either of the trips, please contact james@nerfinternational.org. 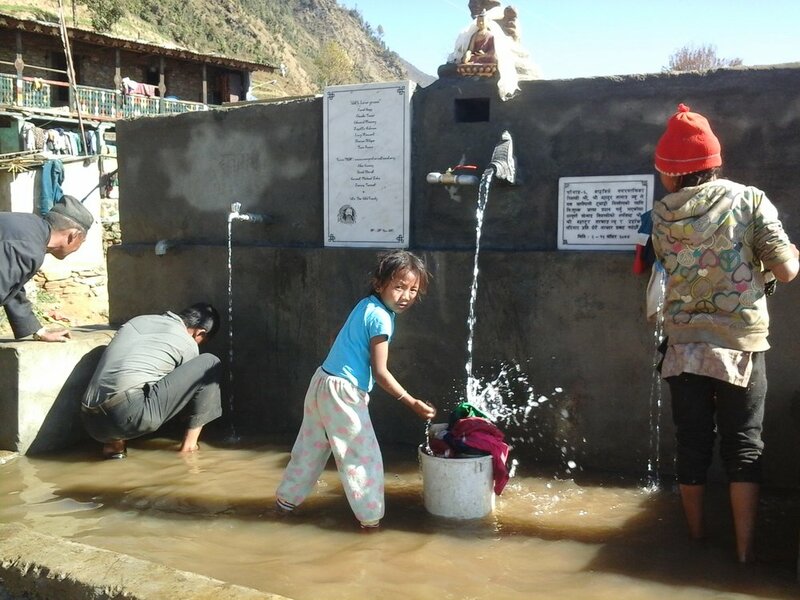 (*If the total amount of sponsorship funds raised by trekkers exceed the required funds for projects NERF is currently working on in this region of Nepal, we reserve the right to use the funds for other projects we are working on in the country. All our projects are carried out in partnership with thoroughly-vetted local NGOs and all the work we do is in line with our overall mission and values). (**Our tour provider quotes prices for this trip in Nepalese Rupees and we have to convert to £GBP to work out the price for our clients. Please be aware that market forces and currency volatility are beyond our control - especially with the current uncertainty around Brexit. There is a margin for some exchange rate fluctuations in the quoted tour price but any huge changes may result in a slight price increase or decrease). 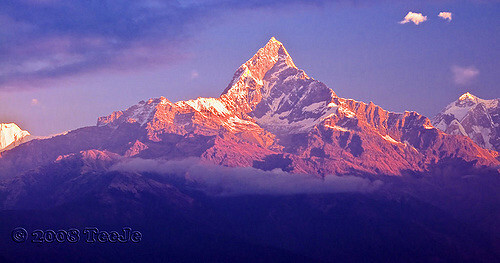 (***The Annapurna trip will only go ahead if we get a minimum of 8 trekkers signed up. We will provide regular updates on the number of people registered).